According to Ayurveda, bronchial diseases are classified as a kapha Dosha (1 among 3 doshas) disorder. This condition is associated with phlegm and requiring treatments targeting the chest and torso. Guests benefit from daily Abhyangam oil massage and steam bath, which work to cleanse the whole system of chemical impurities and remove the root of the disease. Abhyanga (Ayurvedic massage) is given for all chronic problemsas key preparatory treatment. Abhyangam improves circulation, removes impurities and creates a base for Kairali’s targeted bronchial treatments. Patients undergoing Ayurvedic treatment for bronchial diseases are well advised to take a course in Yoga as well.Other usual treatments are explained below. 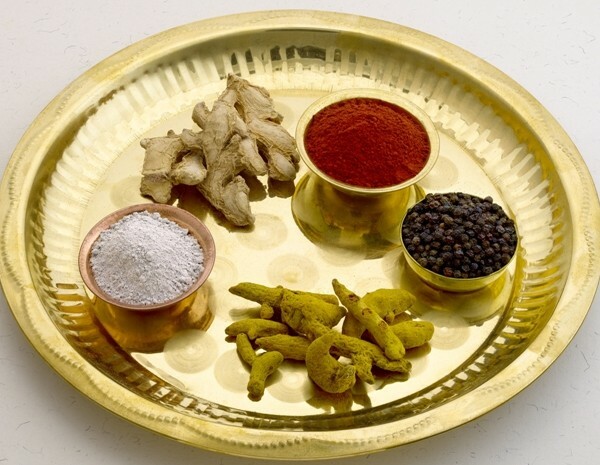 Please note: As traditional Ayurvedic System of treatment is strictly personalized, the schedules of therapies and medicines can be fixed after detailed consultation/examination by the doctor. Thakradhara is another type of Shiro dhara, which involves continuous pouring of medicated butter milk to the forehead. Body massage will also be done along with this treatment. This will be given for a period of 45 minutes to 1 hour a day. This unique form of ancient therapy of pouring medicated butter milk on forehead from a specific height and for a specific period continuously and rhythmically allowing the oil to run through the scalp and hair. It is a purifying and rejuvenating therapy made to eliminate toxins and mental exhaustion and relieve stress and any ill effects on the central nervous system. This therapy is also known as Third Eye Treatment of Lord Shiva. Benifits: Shirodhara enhances blood circulation to the brain, improves memory, nourishes hair and scalp, assists in providing sound sleep and calms the body and mind. Shirodhara is one of the most effective treatments for reducing stress and nervous disorders. Prevents hair lose, premature graying and cracking of hair, Relieves headache and burning sensation of the head, Helps relieve fatigue, tension, anxiety, anger, chronic headaches, rheumatism, improves concentration, intelligence, confidence and self-esteem, Good for hypertension, asthma, stress and much more. Udvardhanam (Powder Massage) is an ayurvedic massage using herbal powders. The herbal powders are mixed with oil, milk or medicated juice and rubbed upwards onto the body. In this massage two therapists apply certain warm herbal powders and deeply massage the body with specific upward movements for about 30 to 45 minutes daily for a period of 7 to 14 days.The treatment improves the blood circulation and reduces body weight and skin diseases. It also helps in curing hemiplegia and paralysis. Benefits of Udvardhanam: It also results in the stimulation of the hair follicles and tissues in order to breakdown the deep-seated fat tissues; detoxification and nourishment of the body tissues; the activation of the skin’s natural metabolism; and also the improvement of the lymph flow. The udvarthana massage cleanses and refines the skin structures and gives the skin a soft, silky texture and a lustrous glow.It also an essential therapy used as part of a safe weight reduction programme. Specially prepared Rasayanas(ayurveda medicines) will be given for intake. The quantity and type of rasayana to be served will be decided by the physician in each case and it depends the physical status person undergoing treatments. In Ayurveda Rasayana means the way for attaining excellent in all aspects of health. This therapy is given to persons for attaining good memory, intelligence, freedom from disorder, youthful age. Kamaya Rasayana – For normal health. Pranakamya – For vitality & longevity of life. Naimittika Rasayana – For vitality in specific cases. This treatment allows the Ayurvedic oils to penetrate deeper into the tissue, enhancing the detoxification process. It strengthens the immune system and moisturizes your skin, making it soft and smooth. Swedanam or Herbal Steam Bath is done with the help of a steam chamber to perspire the patient. Oil should be gently applied on the body and the patient is made to sit in the chamber where steam emanates from a boiling herbal decoction which is made of various herbs and medicated powder. The purpose of Swedana is to increase body temperature which opens the channel system resulting in increased circulation. This allows toxins to flow out of the body with sweat. Full body herbal steam bath or Bashpa Swedana: This is given after a full body oil massage (Abhyanga). 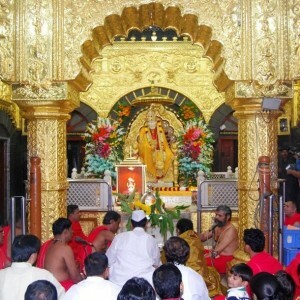 And is given in order to increase the benefits of Abhyanga. Through this process oil gets deeper into the skin and removes deep rooted toxins from the skin layers. Localised steam bath (Nadi Sweadana): In this process herbelised steam is passed in to the specific regions of the body, often along energy lines in the body called nadis. It relieves pain and soreness in the muscles joints. And also, promotes blood circulation and restores flexibility in tensed and affected areas. This treatment is beneficial also for arthritis, immobility and Neuromuscular conditions. Vamanam is also known as therapeutic vomiting, which is a medicated emesis therapy. People with high imbalance of kapha are given this type of treatment, which loosens and mobilizes the toxins, in an effort to eliminate them from the body. And wastes are eliminated through the upper gastrointestinal tract. This medicated vomiting therapy removes Kapha toxins collected in the body especially from the respiratory system. This treatment is given to people with high Kapha imbalance. The therapist induces vomiting by a drink containing liquorice and honey, calamus root tea or drinks with salt and cardamom and with the help of rubbing on the tongue. After vomiting, the sinus is cleared, which in turn provides relief from congestion, wheezing and breathlessness. Vamanam is not advisable for pregnant women, the aged, the weak and those suffering from cardiac problems. This ghee made from butter obtained from cow’s milk. From this protein content has to be removed. It is then boiled with various herbs. And served orally to the patient. Snehapana is done in the morning after attending to the calls of nature, on an empty stomach. The quantity is varies from case to case by observing the health, age, illness condition and digestive capacity of the patient need to be taken into consideration when determining the dosage. The treatment continues between five to seven days depending on the condition of the patient and the illness being treated. Lung disease and bronchial disorders are areas in which Yoga provides an ideal supportive therapy to the Ayurvedic treatment programme. Hatha Yoga provides physical therapy through the use of asanas, correcting postural deficiencies and opening the chest and torso to increase lung capacity. The proper practice of pranayama (Breath excercise) in conjunction with the correct posture completes the therapy. The system of Hatha Yoga offers numerous breathing techniques for this purpose.